What a grab! 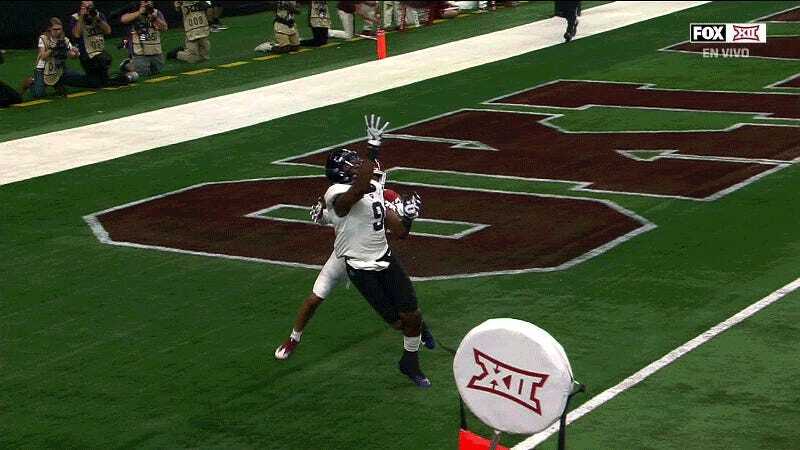 That’s TCU senior John Diarse with the gorgeous one-handed snag in the end zone. Officials initially ruled it an incomplete pass, but the ruling was overturned after review. The ball does seem like it moves a little when he lands, but it is clearly a catch by any not-insane, remotely-comprehensible, non-NFL standard, and a spectacular one, at that.